Chiński prototyp Railgun na okręcie, poniżej dwa artykuły, artykuł po francusku, lecz wyszukiwarka dobrze tłumaczy na ang. 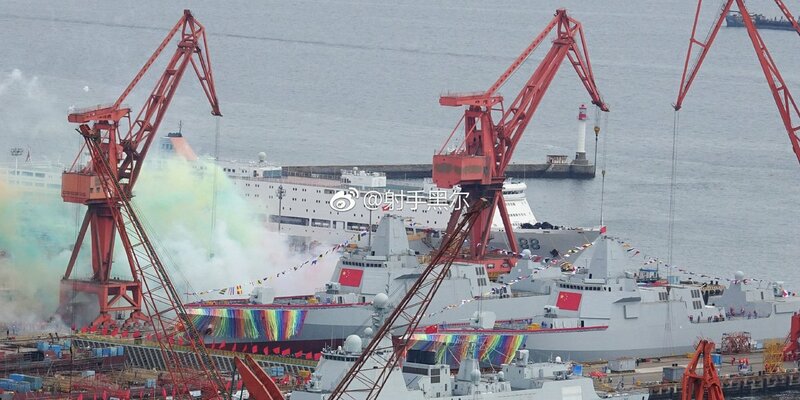 The banner said, "Provide the first-class naval weapon & equipment for building the first-class navy in the world." That's pretty assertive and ambitious. According to PLAN, the first on-board test of the rail gun was successful. The equipment has gone through more than 50,000 tests and its development group has encountered hundreds of failures before it was mounted on PLANS Mt. Haiyang (LST-936). 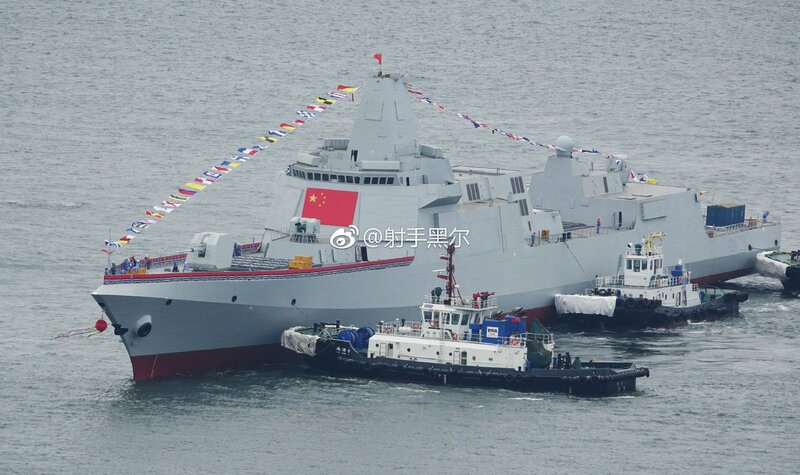 2x Type 055 zwodowany dzisiaj w Dalian czyli nr3 i 4, 3 lipca 2018. Na poprzedniej stronie są zdjęcia które dodałem, jak będzie wyglądał przedstawiciel Type 055 nr 1, na ukończeniu przy bliskiej przyszłości prób morskich. Zdjęcia tych samych dwóch z ostatniego miesiąca przed wodowaniem. 052DG/052D+/052DL czy jak się będą zwać od 14 sztuki serii zwodowanej i więcej. 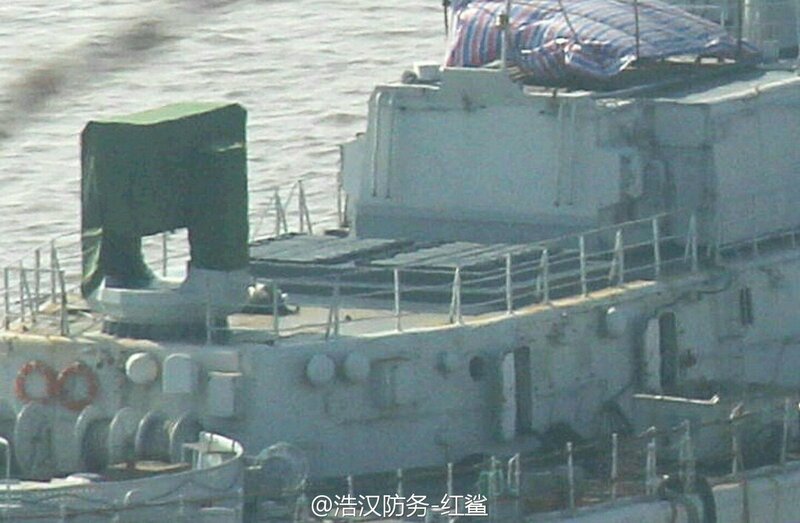 radar, electronic system, weapons system etc. Wydłużenie type 052D zapewne ma na celu zapewnienie dostatecznego miejsca dla wersji Z-20 dla marynarki, która ma wkrótce zadebiutować. Obecnie Z-20 są nabywane przez armię lądową. Poniżej wersja dla armii. 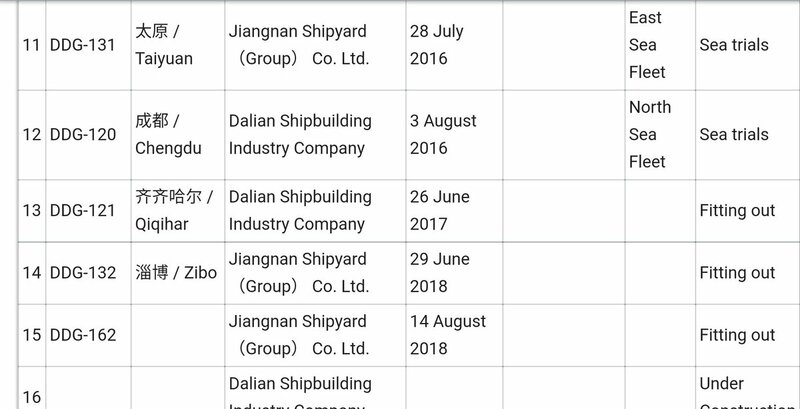 So the take home message is that there are two new carriers, one in Jiangnan, one in Dalian. Both are of the same class. 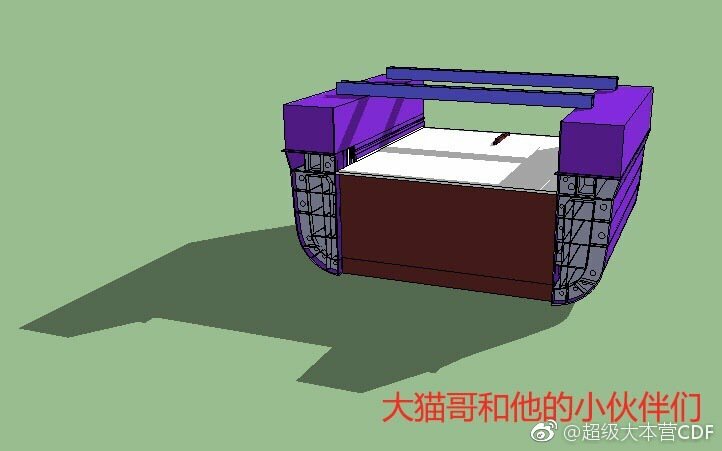 Jiangnan may start assembly this November. 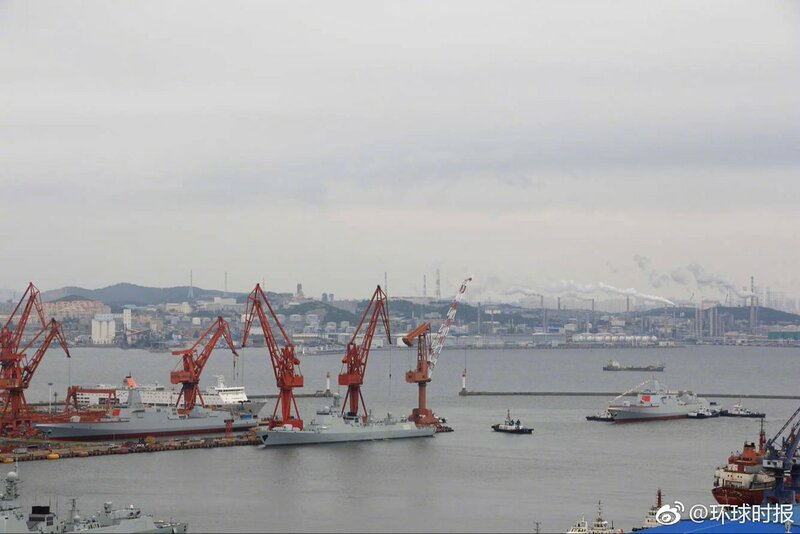 Dalian may start production after Liaoning's maintainence is completed. 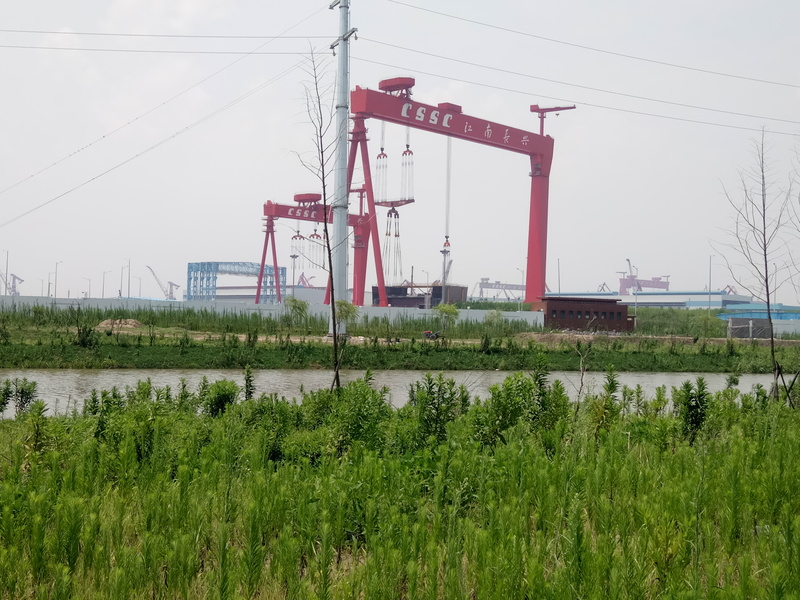 Evidence of the module construction at Dalian would show up around August 2019. W Szanghaju już widać pierwsze oznaki nowego lotniskowca. Możliwy wygląd 3 lotniskowca, a zarazem i 4, niedługo po zwodowaniu nr 3. Type 055, nr.1 rozpoczął próby morskie, wkrótce zapewne będą dostępne lepszej jakości zdjęcia. Pięknie Chiny idą do przodu. 4 lotniskowce to już jest wypas. Type 055, nr 1 podczas prób..
Korwety Type 056/A wróciły na tor względem poprzedniego roku, dotychczas w 2018 r, 9 zwodowanych. 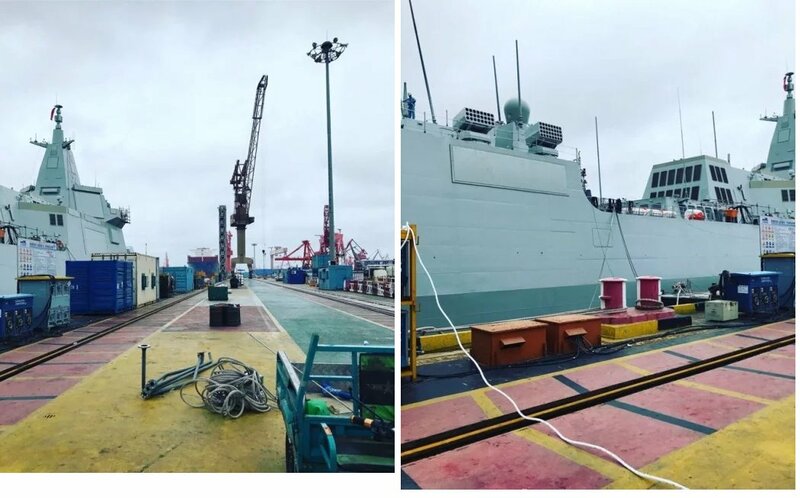 14 sierpnia, drugi zmodyfikowany type 052D został zwodowany w Jiangnan, ogółem jest to 15sta jednostka w serii. Podobno w sierpniu także rozpoczęły się prace nad 22 sztuką, tak więc, póki co Chińczycy nie zamierzają przestawać na produkcji tego okrętu. 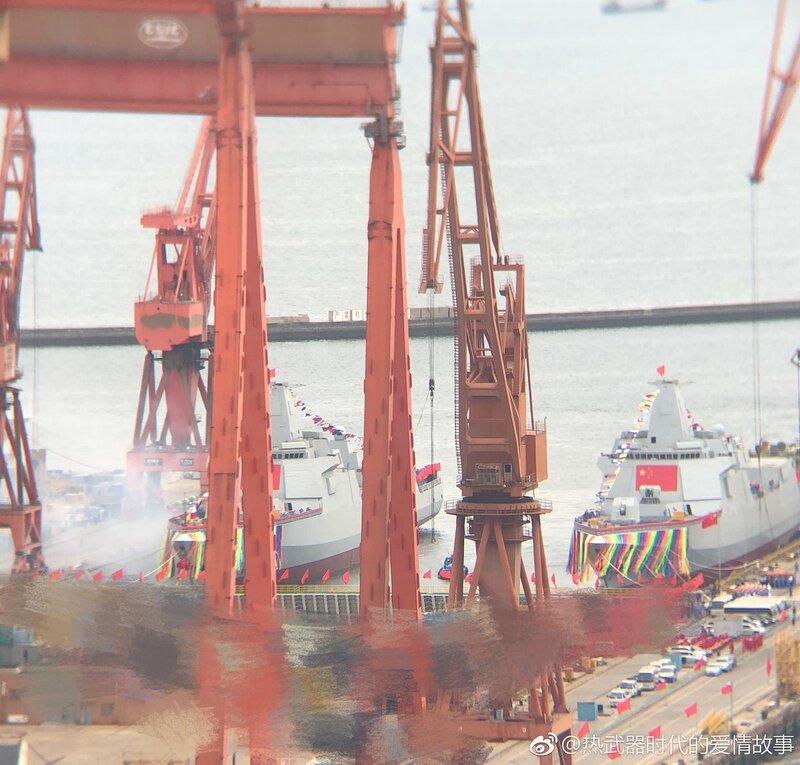 It seems as if the Liaoning not only receives a new coating of the flight deck but also got some more modifications: the aft aviation bridge was completely removed and changed to a design as installed on the Type 002 carrier. This is an old photo dated July 8 of 2016, but AFAIK, it's not been shared before. 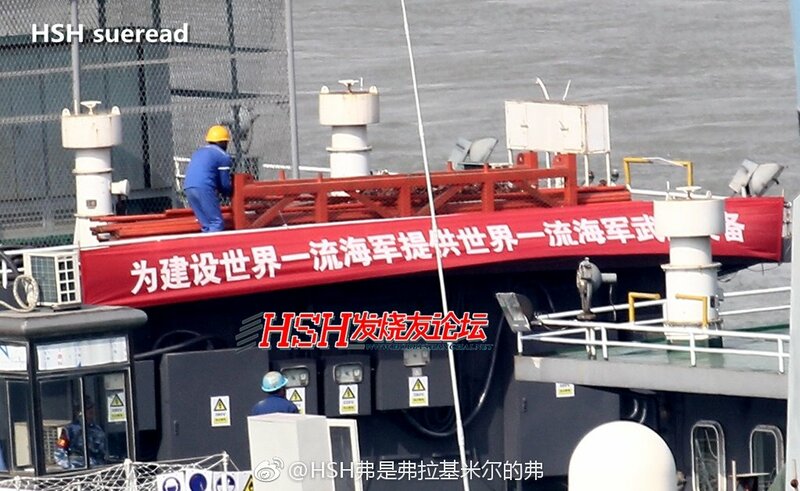 The original caption says, "Sailors of Guided Missile Destroyer Hefei searching for 'Blue Force' targets." Full resolution version, which provides a very detailed look at the UI and control interface. I can't place these consoles anywhere in the CIC, whose layout I speculated on previously. 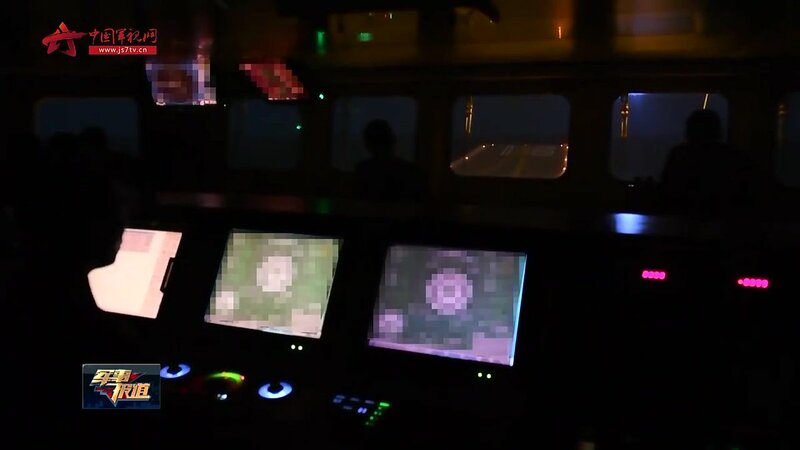 These are unlikely to be sonar consoles, since we already know what they look like. 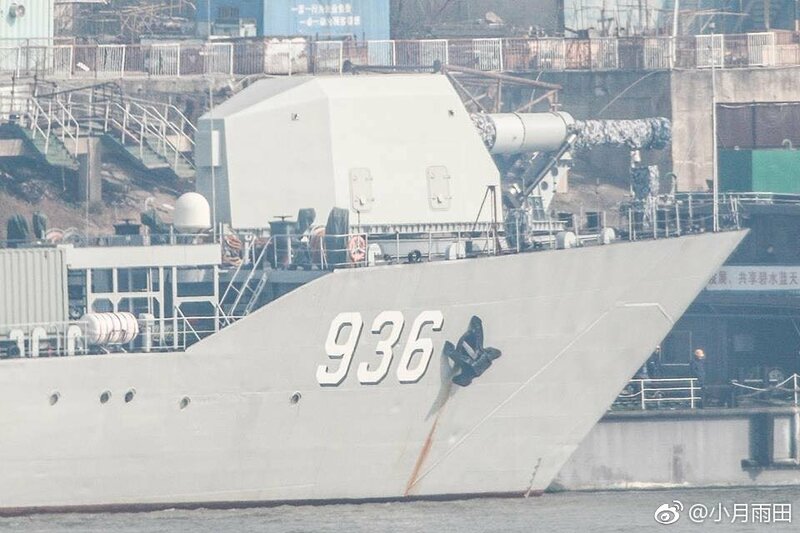 Judging by the Chinese characters on one of the displays, these sailors are probably radar operators. The question is which radar; I think the most likely candidate is the surface search radar. 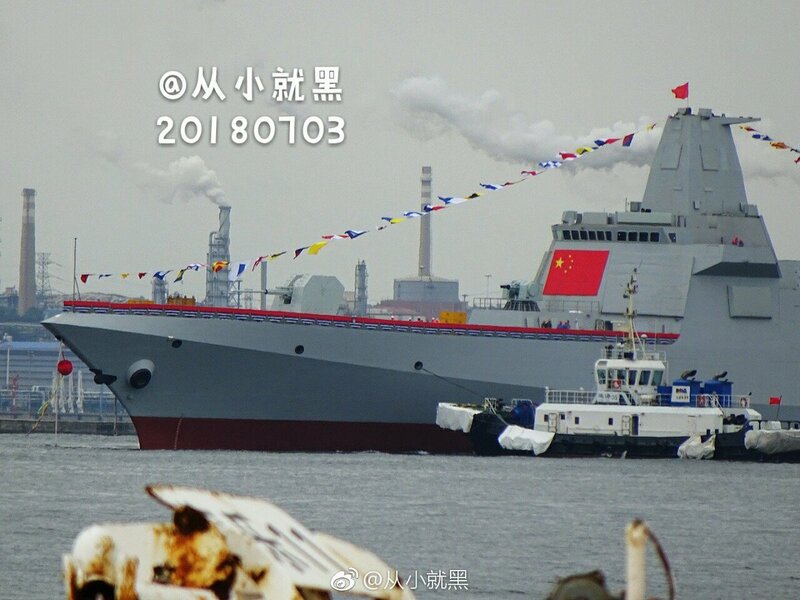 With the refitting completed, Destroyer Shenzhen has been fitted with the same VLS and radars like 054A frigate, thus she is nicknamed 054A Plus or frigate leader. 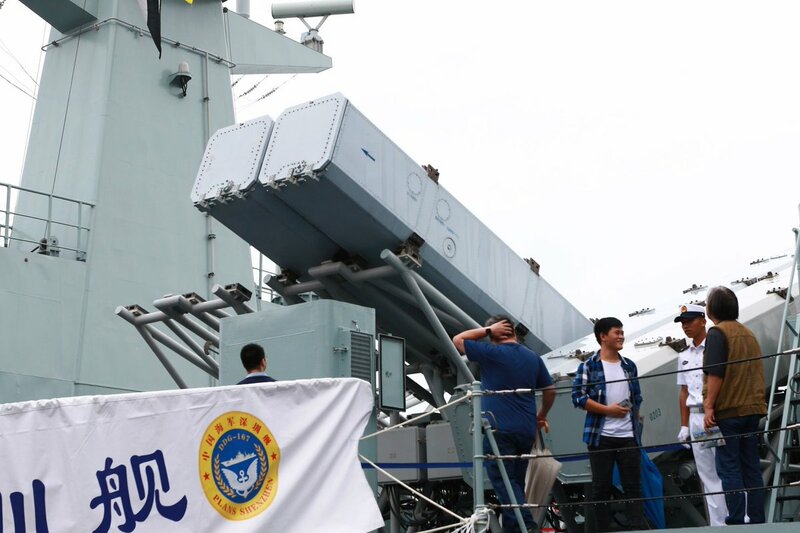 According to the description panel and the officers' presentation aboard the destroyer 167, the supersonic anti-ship missile YJ-12A has a range of "400 km" and has "several different ways of penetration". Its main targets are "fleets" and "aircraft carriers". Czy ktoś coś więcej wie w tym temacie? To kit propagandowy czy jednak nie ? To, że Rosja ma coraz większe problemy z budową i obsługa dużych jednostek nie jest tajemnicą. To, że Chiński sektor zbrojeniowy rozwija się w szybkim tempie- też nie. Więc kto wie. Jeżeli rzeczywiście do tego dojdzie może to być przełomowy moment w dziejach . Po pierwsze dlaczego rosyjscy pasjonaci morscy o tym nie wiedzą? PO drugie dlaczego wiedzą ale o zalewie dziwnych i od sasa do lasa informacji na temat Kuzniecowa jakie ukazały się w grudniu na najróżniejszych amerykańskich portalach i nic ponadto? Po trzecie skąd p. Dura czerpie info o formie zapłaty dla Chin, która jak ulał pasuje do "modnej" u nas koncepcji jak to Rosja wyprzedaje ostatnie technologie aby jakoś związać koniec z końcem? Po czwarte jak to jest, że akurat technologia produkcji owych turbin dla dużych okrętów akurat w Chinach jest i to od jakiegoś czasu i jak biznesowe plotki niosą ktoś tam z oficjalnym błogosławieństwem rzecz rozwinął lata temu dla siebie zachowując inne rozwiązania? Po piąte jak to jest, że wbrew najróżniejszym wizjom wieszczącym sukces sankcji akurat owe turbiny Rosja bez udziału Ukrainy właśnie produkuje? Jak nie można temu zaradzić to może choć można obsmarować oskarżając o kradzież? No i wreszcie - jakby kto nie zauważył - rosyjski pomysł na flotę z wielu powodów nie daje lotniskowcom priorytetu - i ma to szczęście, że nie musi czego nie można powiedzieć o Chinach jeżeli nie chcą powtórki z rozrywki w XIX wiecznym stylu. Artykuł to klasyczne "serc pokrzepianie" jak to Rosja już zaraz się posypie skoro się niby decyduje już na wyprzedaż rodowych sreber (ale tak jest tylko wedle jakichś bliżej nieznanych dziennikarzy) wedle naszych sztampowych norm i dziwić się tylko wypada, że wciąż robi się to wedle tego samego wzorca. To warto może przypomnieć, że na pytanie zadane w latach 80 tych XVI wieku przez brytyjskich kupców dlaczego nie handlujemy z Rosją rodzimi mędrcy po staremu odpowiedzieli "a bo zaraz to się posypie bo to nie może przetrwać..." Jak widac byli w błędzie. Wywiad z Dai Mingmeng, pierwszym pilotem J-15 na lotniskowcu. 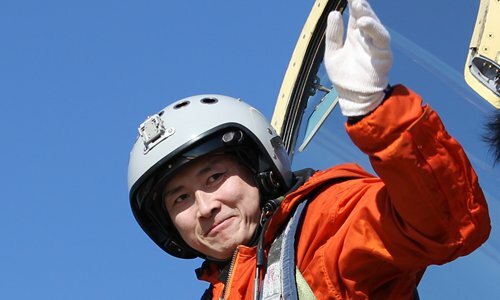 It was a dream from childhood to fly into the blue sky for Dai Mingmeng, who became the first Chinese pilot to successfully land on and take off from China's first aircraft carrier, in a J-15 fighter jet in 2012. 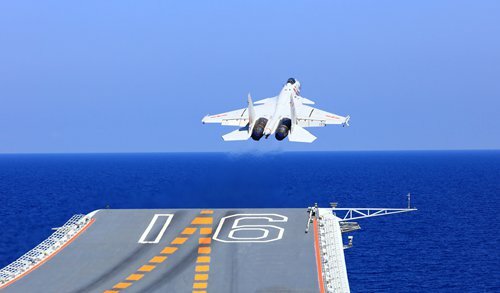 Two months after China commissioned the Liaoning carrier in September 2012, Dai landed a J-15 on the carrier's flight deck, the first Chinese pilot to achieve the feat. And he then began training carrier-based fighter jet commanders and drillmasters. On December 18, Dai was selected as one of the 100 representatives who made great contributions to China's reform and opening-up. Recalling what happened on November 23, Dai said that he was calm as usual and came to the control tower early to make preparations for flying. "No one talked to me. The atmosphere was heavier than usual," Dai said. "I never doubt myself. 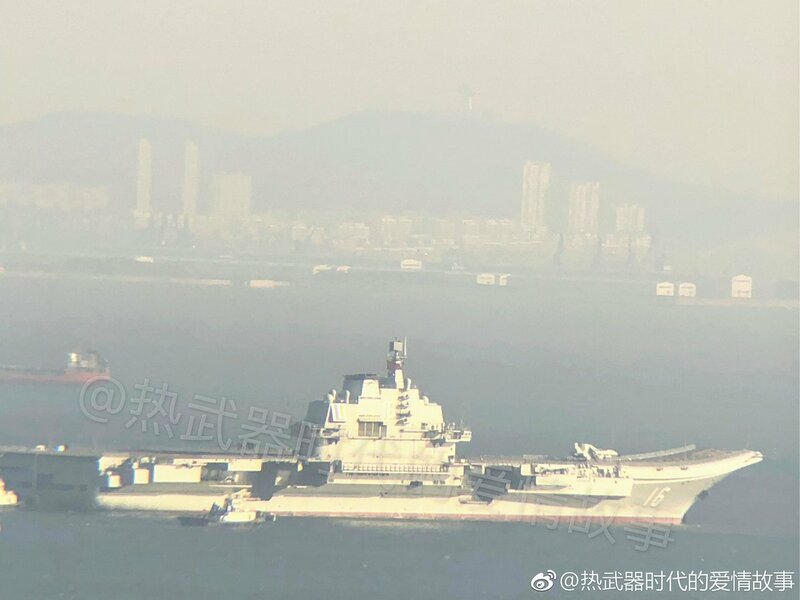 Before the first landing, we flew around the Liaoning more than 500 times and touched the deck of the aircraft carrier during the flight dozens of times. When the fighter jet took off, I waved to others," Dai said. Around 9 am, Dai's fighter came near the aircraft carrier with roar. The jet took the first turn and another turn, and put down the undercarriage and the arresting hook. When the jet's back wheel touched the deck, its arresting hook firmly caught the arresting gears installed on the deck. The fighter jet stopped. "We succeeded!" shouted the people who waited on the deck, with tears of joy. Sun Cong, the chief designer of the J-15, hugged Dai once he got out of the jet. Others queued to give him a hug. In an article published in the People's Liberation Army (PLA) Daily in October 2018, Dai wrote, "That was the most unforgettable day in my life… We achieved a dream that the Chinese have dreamed for a hundred years. Every time I recall the moment of realizing the dream, I am filled with passion and enthusiasm." The glorious moment did not come from nothing. It was built on the sweat and efforts of many pilots. 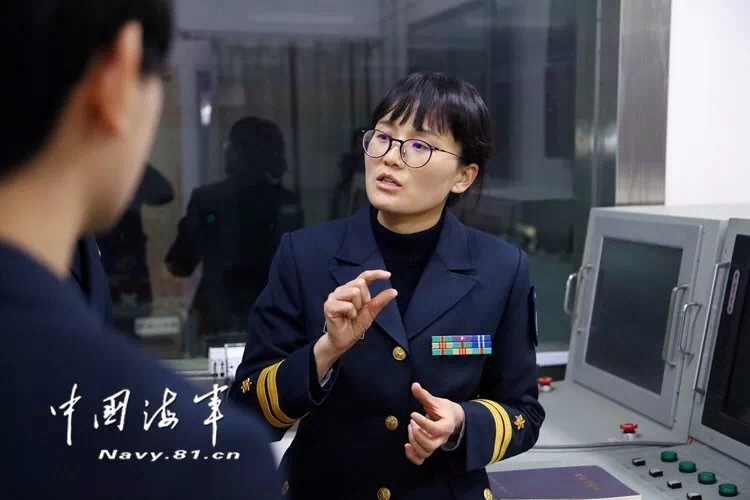 Song Zhongping, a military expert and TV commentator, told the Global Times that the work of pilots of fighter jets on aircraft carriers is very dangerous. "It's like dancing on the edge of the knife. A minor error would cost the life of a pilot. 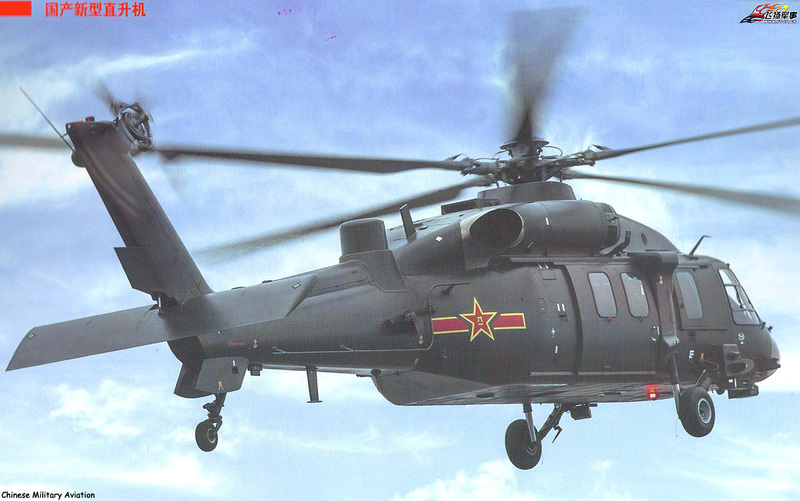 And China's first group of pilots of this kind managed to overcome these difficulties without any assistance." Song said that China's first pilots for fighter jets of aircraft carriers were selected from the PLA Navy and PLA Air Force. "They were trained to be pilots by flying from the land. Many skills of operating the fighter jets for aircraft carriers are different, sometimes even opposite, to what they had learned previously, which makes it more difficult to train these pilots." Dai was trained in a PLA Air Force flight academy in Baoding, North China's Hebei Province and was deployed to the PLA Navy to fly fighter jets. He operated 16 kinds of fighter jets, dealt with dozens of extremely dangerous situations and twice escaped from the door of death. 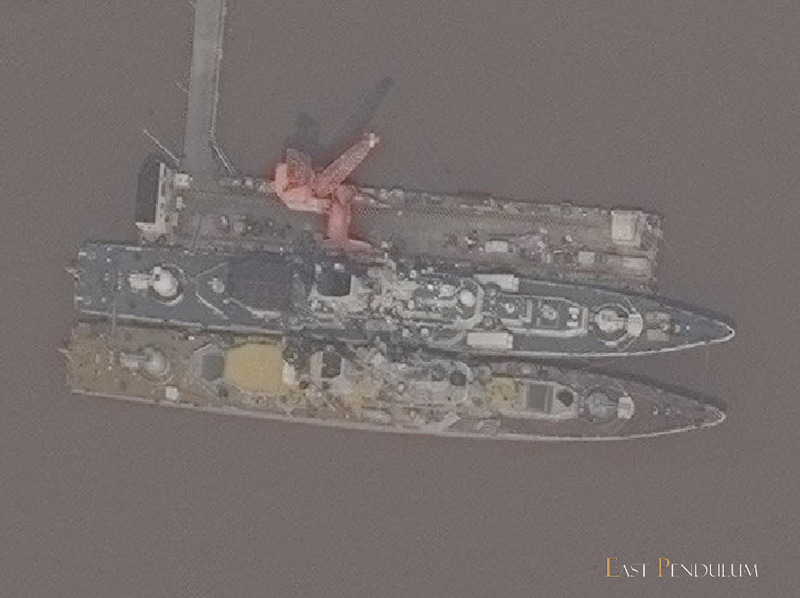 While Dai was flying fighter jets for the PLA Navy, China started to realize its aircraft carrier dream step by step. It brought the aircraft carrier Varyag from Ukraine in 1998. 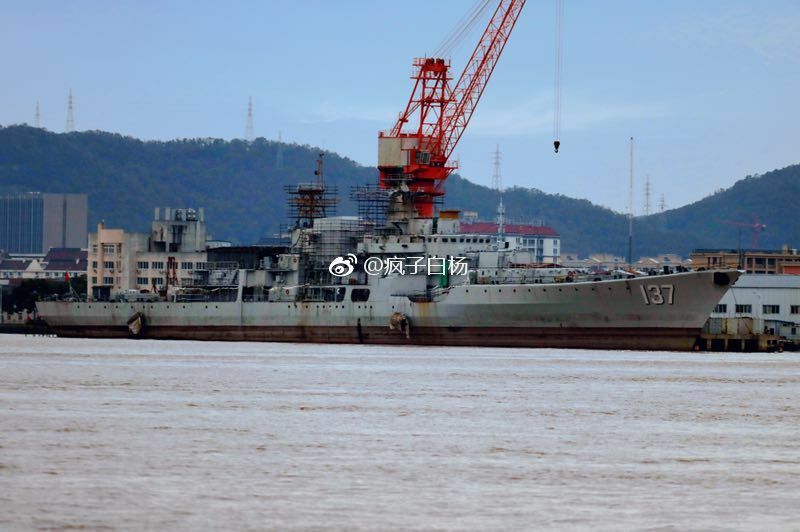 The carrier was rebuilt for the PLA Navy as the Liaoning. In September 2006, the PLA Navy began to select fighter jet pilots for the aircraft carrier. Dai was among the first group of pilots. Without experience, available teaching materials or assistance from other countries, Dai and other pilots began to prepare for flying and landing fighter jets from the aircraft carrier. "It's like learning a course without a teacher, and we were required to give a perfect performance," Dai said. The runway on the aircraft carrier is about one-tenth the length of one on land. In addition, the carrier is in motion. Dai's first try to catch the arresting gear was attempted on an experimental site on land. Dai put down the arresting hook and caught the arresting gear. The speed of the jet decreased from 200 kilometers per hour to zero within 2 seconds. He felt the blood of his whole body rush into his head - it was like a sudden stop during a sprint. After a moment of memory loss, Dai found his jet stopped safe and sound. Before the successful landing on November 23, 2012, Dai underwent more than 400 test flights and flew around the aircraft carrier 100 times. 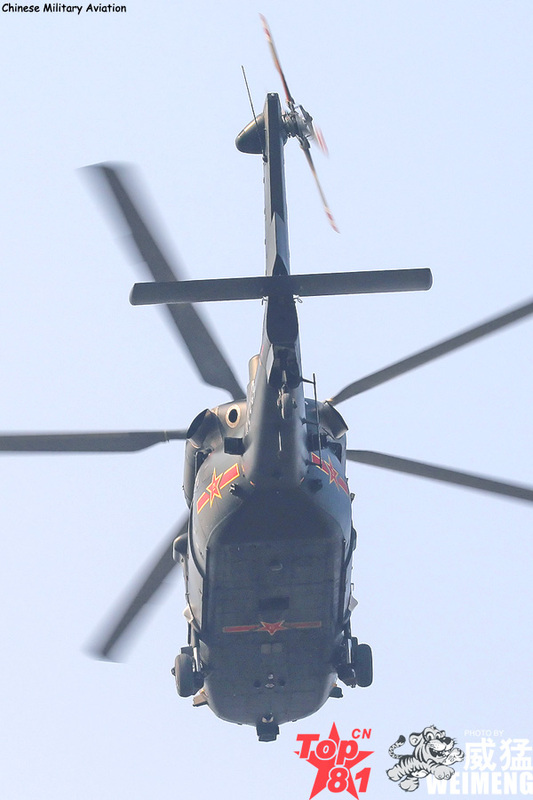 After Dai, another four pilots successfully took off and landed on the Liaoning. 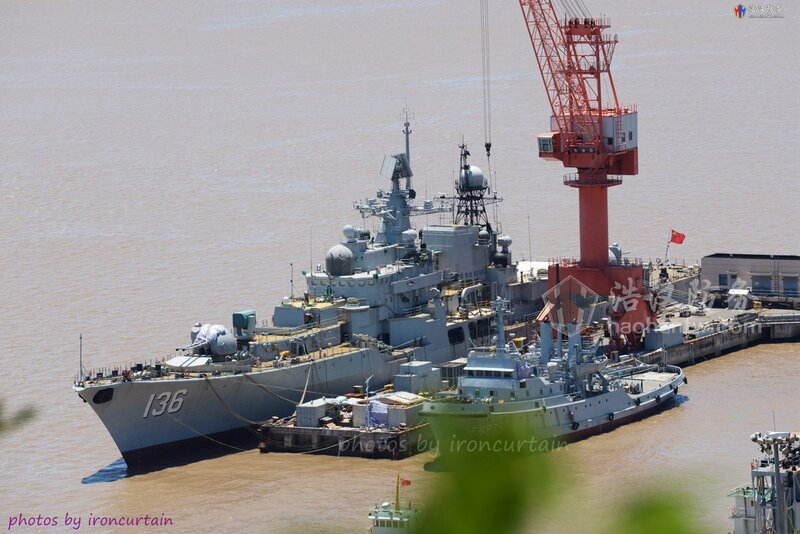 The PLA Navy entered into the aircraft carrier era. Dai was honored as a "hero fighter jet pilot for aircraft carriers" in August 2014. But he did not rest on this glory. "When can China train its own fighter jets pilots in quantity and quality?" Dai has continually asked himself this question, because a group of experienced fighter jet pilots is necessary for the aircraft to have combat capability. A pilot group was founded under the guidance of Dai. The group is working on writing textbooks, making teaching courses and curriculum and organizing practice. By operating the fighter jet himself, Dai shows flying skills to students, and analyzes and comments on students' performances. 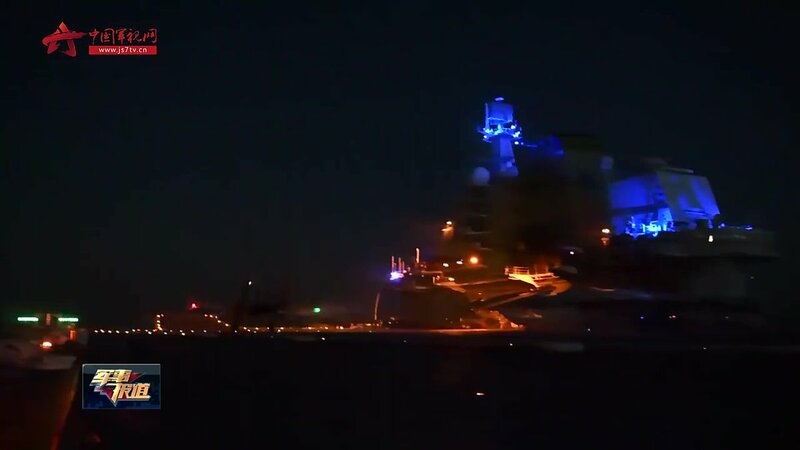 In December 2016, boarding the Liaoning, Dai led a group of young fighter jet pilots to the aircraft carrier to undergo combat drills in foreign waters. 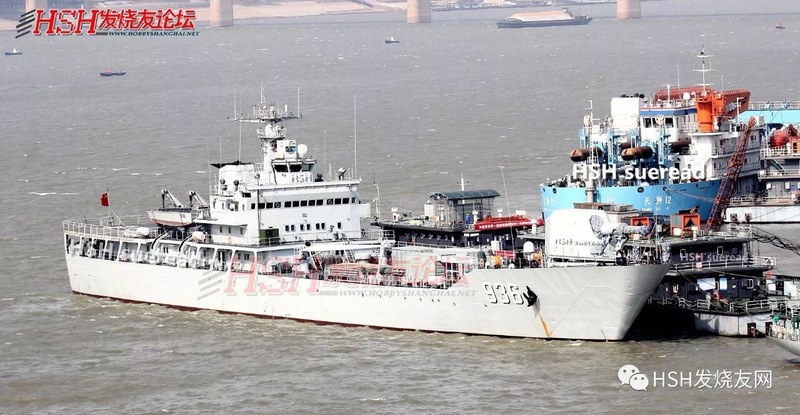 "In the waters of Bohai, the Yellow Sea, the East China Sea and the South China Sea, we underwent combat drills and tested the command process and the capability of the aircraft fleet, which also marks the transformation of the PLA Navy," Dai said. 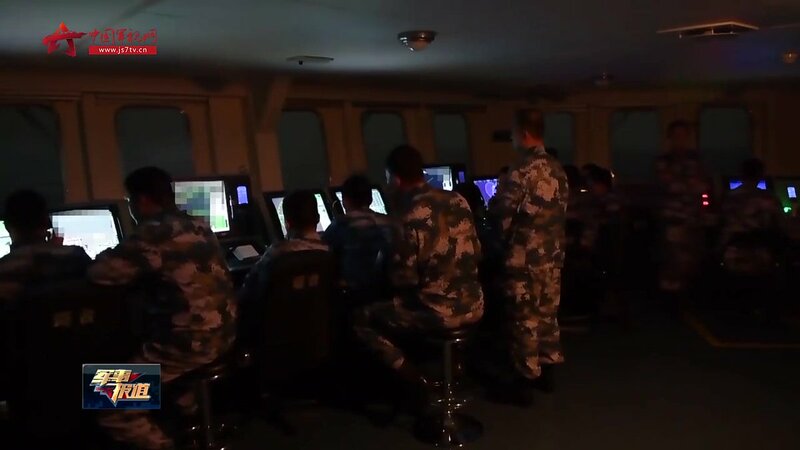 With the efforts of Dai and other pilots, China has become one of the few countries that could independently train pilots for the aircraft carrier. "There are three things in a pilot's mind - the blue sky, the mission and our motherland. When I operate a fighter jet in the blue sky, I feel my life is closely connected with my mission and my country. I am embraced by happiness. 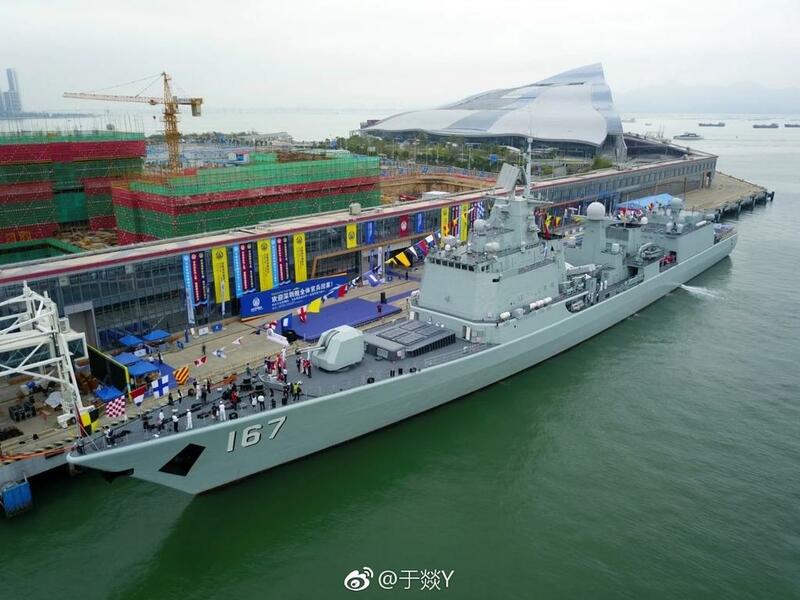 I thank my country, which is getting powerful and making our fleet moving forward," Dai wrote in the article in the PLA Daily. Sovremenny DDG 137 rozpoczyna refitting. DDG 136 tak wygląda prawie po, jeszcze dostaną zamontowane prawdopodobnie YJ-12, jak w przypadku MLU 051B. Drugi okręt type 901, wszedł niedawno do służby. 6 okręt type 071 wszedł do służby 12 stycznia 2019 roku, pod koniec zeszłego roku 7 okręt tego typu został zwodowany. 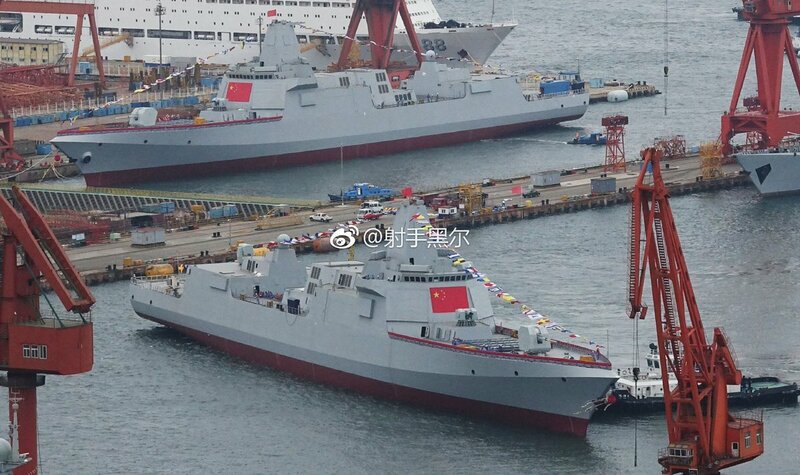 Type 071 LPD's hangar can accommodate four Z8 helicopters. During war time, maximum number could be six Z8, with two Z8 on the landing deck, leaving one lift-off point empty. Tak może wyglądać stan okrętów w służbie ChRL pod koniec 2019 roku. Prawdopodobnie liczba type 022 jest zawyżona, z tego co wiem, skłaniam się ku liczbie 60 w służbie. Dalsze próby chińskiego railguna na morzu. 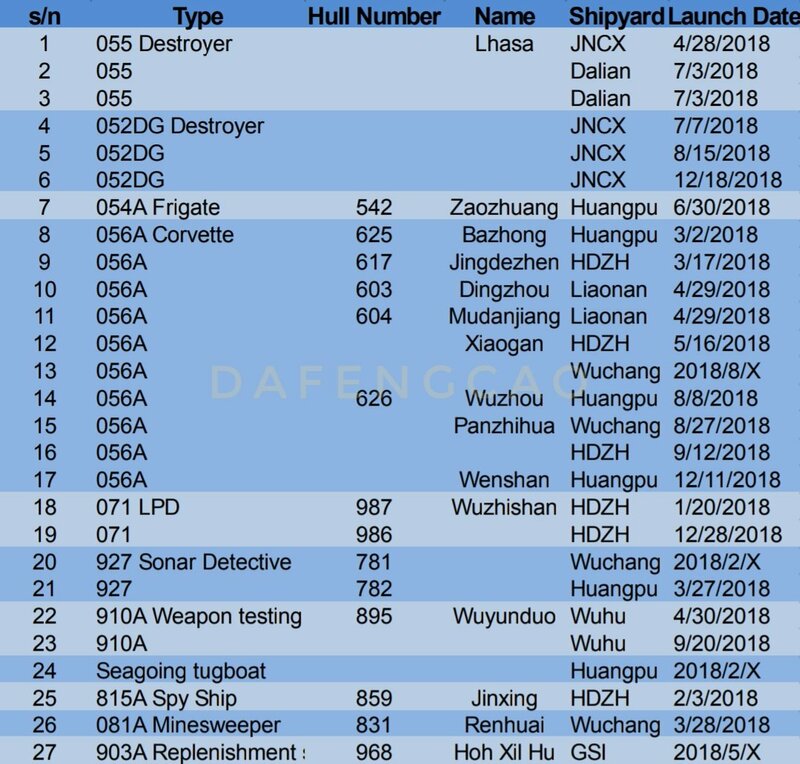 W oddali Type 815A podczas ćwiczeń USA w trakcie Malabar 2018.